I would like to warn my fellow Axapta/AX/D365FO bloggers, that blind copy-pasting from each other seems innocent, but it fact may result in spreading bugs. 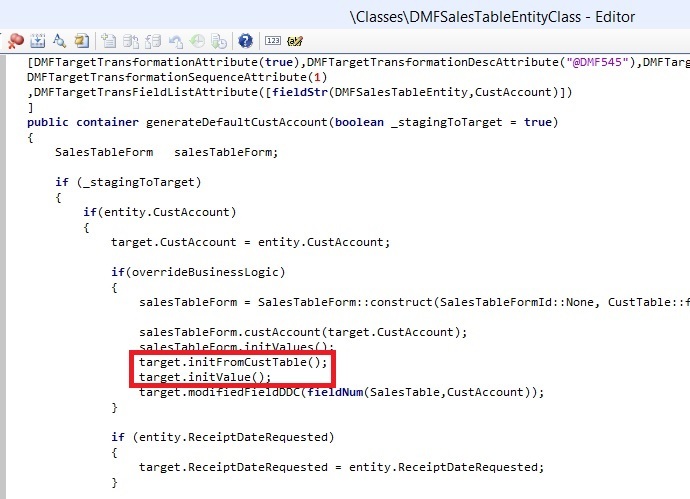 E.g., the following piece of code is very popular in "How to create Purchase Order from X++" posts. The problem is numRefPurchaseOrderId returns the number sequence for purchase order confirmation number. For purchase order number, numRefPurchId should have been used. Using the wrong number sequence may result in duplicate key issues. Can see some folks have found the DisplayOptionInitialize event, still they are in doubt on how to control the displayOption settings based on the selected line. The following code will (hopefully) keep generating valid LedgerDimension values, even after account structures or advanced rule structures are modified. In the example below, there is an account structure with MainAccount-BusinessUnit-Department segments and an advanced rule with Project segment. 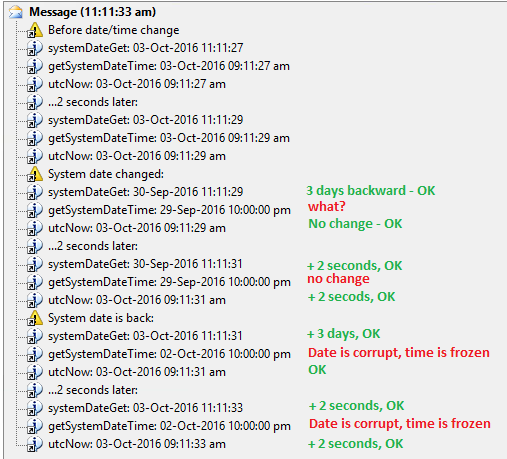 Error executing code: The field with ID '0' does not exist in table 'SysExtensionSerializerExtensionMap'. If you ever get "Error executing code: The field with ID '0' does not exist in table 'SysExtensionSerializerExtensionMap'." 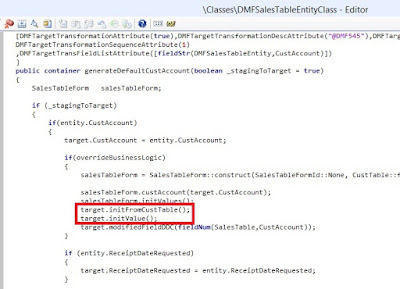 error in CIL, it may happen it is the table extension framework + the standard buf2buf function to blame. everything is fine both in X++ and in CIL. P.P.S. There are a couple of other SysExtensionSerializerMap methods that should be fixed, as they call buf2buf too. DIXF: wrong field values after sales order import? 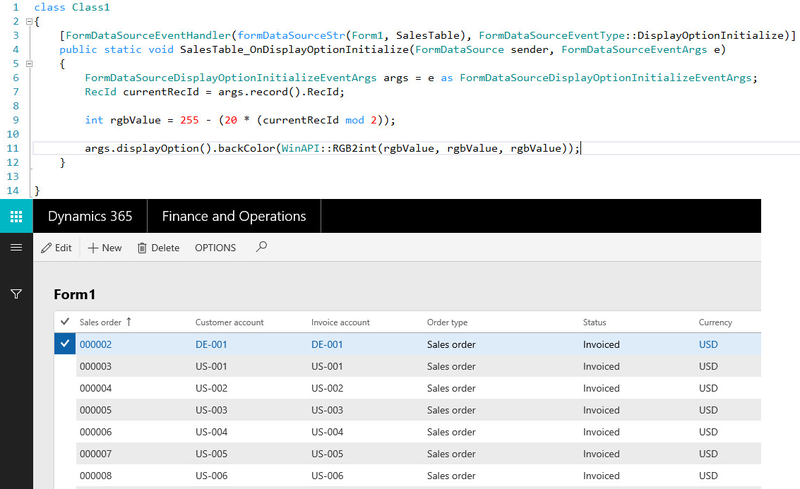 The more I work with the Data Import-Export Framework in AX 2012 R3, the more fun I have. Never ever put an initValue() method call after any initFrom<some table name> method.